Four years have passed since the original eight DigiDestined kids defeated the evil forces that threatened the DigiWorld. Now T.K. and Kari must lead three new DigiDestined on a quest to conquer another dark force that puts both the DigiWorld and the real world in great danger. 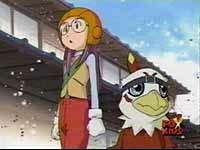 The kids lead secret double-lives, as they leave the real world and enter the DigiWorld each day after school. When the five young heroes first arrive in the DigiWorld, Kari and T.K. 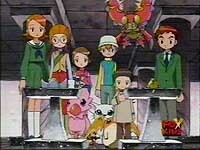 reunite with Gatomon and Patamon and the new kids meet their own new digimon friends. 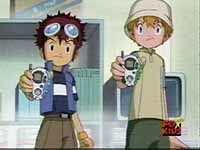 Together with their Digimon, the kids must unveil the mystery behind the new villain and stop him before it's too late!